Our bushcare groups always need more volunteers. Every bit you do makes a difference to our habitat. With groups currently active in four reserves across Manly/Lota, and a new group starting in Wynnum there should be something on near you. If not, start another one! 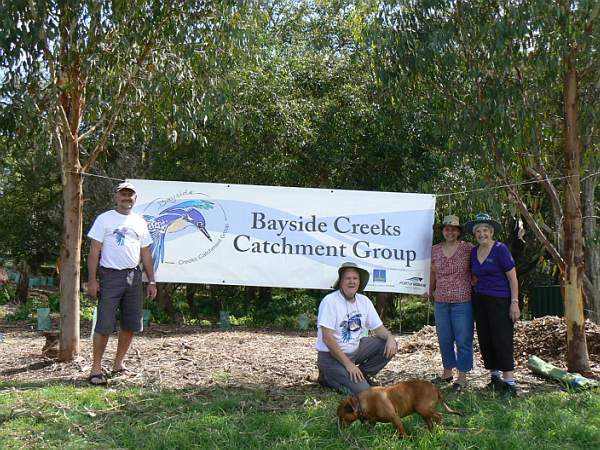 Bayside Catchment Creeks Group does a range of roles in the Wynnum/Manly/Lota area. We apply for and oversee funding that helps preserve and improve our local reserves. We are a voice for the environment in the area, and advocate for better environmental outcomes across a range of issues. We also run workshops and other programs designed to raise awareness and get people involved in our local environment. We have a range of events happening throughout the year, open to everybody. These include tree planting, regular bushcare meetings, social afternoons and bbqs, and markets. We would love to offer more activities in the community as well so join up and get involved to get the ball rolling. Membership of BCCG gives you access to all the resources and facilities/equipment that BCCG utilises. Your membership will signficantly help our group grow and expand and continue to protect our catchment areas across the Bayside area. Membership costs are kept very low. The cost of individual membership is $10/y1, group/family/household is $15/yr, Pensioner $5/yr and corporate/business/associate membership is $30/yr. If you volunteer as an executive member or project leader membership is free. You are also welcome to subscribe to our monthly newsletter through this site. The newsletter highlights all activities on within the group. Come along to our events and join in, we’re a wonderful crew!